I’m seriously in awe that I was able to inspire so many amazing people to create their own wreaths and pumpkins! Here are more crafts done by my readers. This Fresh Fossil‘s wreath. You HAVE TO go read what happened to her wreath. Too funny! Sandy Sewz also made a wreath! Keeping It Simple enlisted her boys to help make some pumpkins. Today Along the Journey was inspired by all my ORB talk (Oil Rubbed Bronze spray paint) that she used it for her pumpkins! Michelle from Sustainably Chic Designs copied my cheese dome cloche! La Bella Casa made some decor balls using my tutorial!! Great job everyone! I LOVE all your hoh inspired crafts! I’m new to blogging but LOVE your’s! I have gotten so many great ideas! 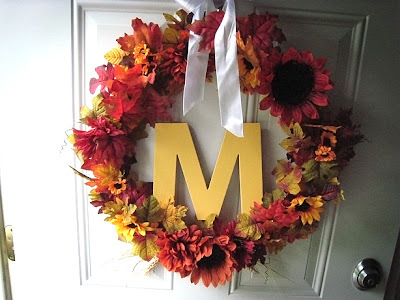 Made my fall wreath, working on the cloche and would love to try the dryer vent pumpkin! Thanks for all of your awesome ideas!!! I made those decor balls. Love them. They’re my go-to decor balls! Is it a sign of a problem if you have “go-to decor balls”? I think I posted this comment in the wrong spot. 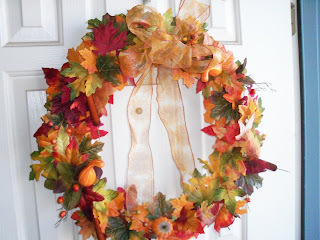 Your blog inspired the wreath on my site (www.mommyhoodadventures.com). I upcycled it from last year’s outdoor fall decor. Everyone’s wreaths look fabulous! 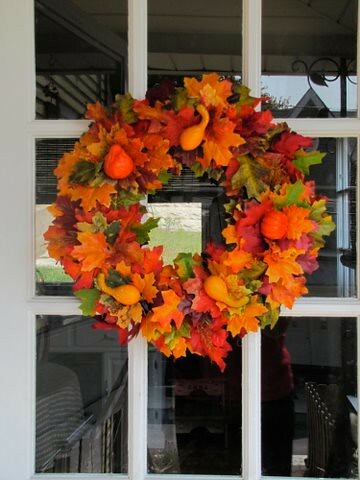 I must look around and see what I have to make a fall wreath! You have definitely inspired me! Cute wreaths! I made a similar one for fall too. It’s so much more economical than buying those expensive ones in the store! 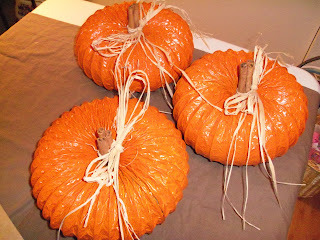 I have made 40 dryer vent pumpkins & have embellished them with ribbons, raffia, flowers, jewels & just about anything I could find to make them unique. Used several colors and have sold almost all of them at a little consignment shop. People are crazy about them. I loved the idea that I saw on this sight & took it a littler further, with GREAT results. Thank you.